CARACAS, Venezuela – Venezuelan President Nicolas Maduro said Tuesday that he’s ready to seek re-election as the ruling socialist party pushes forward voting in a bid to consolidate its power in the face of a devastating economic crisis. Maduro’s comments came a short while after the pro-government constitutional assembly ordered the election be held by the end of April – months ahead of when presidential voting has traditionally taken place. Maduro, 55, said he hoped the opposition would compete in the election even as ongoing negotiations in the Dominican Republic between the two sides have so far failed to reach an agreement. The opposition has been using those talks to push for guarantees that voting will be free and fair. Earlier Diosdado Cabello, the No. 2 leader of the United Socialist Party of Venezuela, told government loyalists that voting was the best way to counter criticism by the administration of U.S. and others that Venezuela is descending into dictatorship. 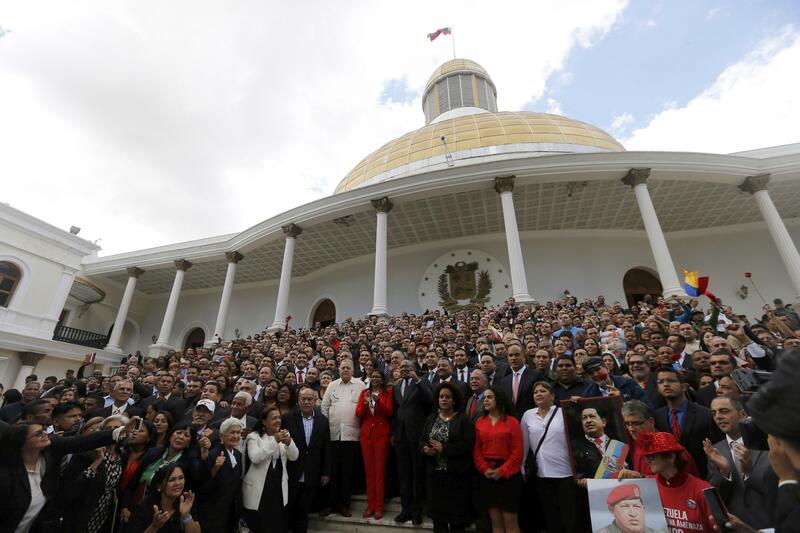 While Cabello, the president’s main internal rival, didn’t explicitly endorse Maduro he praised him as the hand-picked successor of the late Hugo Chavez and said that the revolution would face no obstacles settling on a single candidate. The National Electoral Council must now set the date for the upcoming presidential vote, which would be Venezuela’s fourth election since a July vote installing a constitutional assembly condemned internationally as a naked power grab. According to Venezuela’s constitution a new six-year presidential term must begin in January 2019. While elections can be held any time before then, voting typically is held in the final three months of the year to avoid an extended transition. Although polls show Venezuelans overwhelmingly blame Maduro for widespread food shortages and triple-digit inflation that has pulverized wages, the opposition was left rudderless as several prominent politicians were barred from office or forced into exile last year following a deadly protest movement seeking the president’s removal. Compounding the opposition’s woes, several parties boycotted a recent election for mayors, leading the ruling socialist party to sweep the contest. The opposition alleged there weren’t enough guarantees the vote would be free and fair, but the partial boycott highlighted tensions over how best to confront Maduro, whose decision to create the all-powerful constitutional assembly alongside the opposition-controlled National Assembly has been condemned by several foreign governments, including the U.S. Nonetheless, opposition leaders say they will field a single candidate, although it remains to be seen if they can connect with voters after a string of humiliating defeats and missteps. While many voters, especially poor ones, have no enthusiasm for Maduro, they fear they could lose access to social programs and badly-needed food boxes still being provided by the government. Published: Jan. 23, 2018, 10:06 a.m. Updated: Jan. 23, 2018, 1:36 p.m.